If there is one thing we know about the coffee industry, it is the fact that it is highly competitive. Coffee is the world’s number one hot beverage, with a seemingly endless list of varieties being grown all over the world. So, who are the major players in the industry for 2015? Who are the up-and-coming competitors who will fight tooth and nail for their share of the market? We have put together a selection of both producers and coffee companies under both categories. We expect to see a pretty heated battle for market dominance through the end of 2015. The top three coffee producing countries in the world since the start of the 21st century have consistently been Brazil, Vietnam, and Colombia. That is not expected to change for 2015, but all three will probably produce and export less product this year than in previous years. Brazil, for example, has been going through a pretty significant drought over the last 12 months. This year’s crop does not look nearly as robust as previous years. In Honduras, things are considerably different. Production and export within the Central American country was up 4.2% in January alone, continuing a steady climb that producers in the country have enjoyed since 2009. Other coffee producing countries to watch in 2015 include Ethiopia, Nicaragua, and Cameroon. 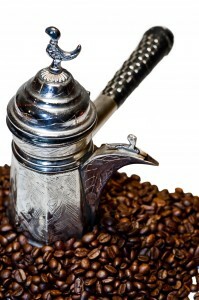 Robusta and Arabica exports look especially promising out of Cameroon. Back here in the U.S., we are more concerned about the companies processing and roasting coffee than the countries producing it. After all, what we buy comes from the roasters. At the top of the list of major players are Starbucks, Dunkin’ Donuts, and Folgers (owned by J.M. Smucker). Not only are Starbucks and Dunkin’ Donuts dominant in the retail coffee house sector, they also compete with Folgers by producing their own blends that consumers can purchase for use in their home coffee machines. Coffee service companies are even beginning to offer Starbucks and Dunkin’ Donuts products to their customers. In the emerging arena, we think one of the players to keep an eye on is a company named Community Coffee. They are not new by any stretch, having been established in the early 1900s, but they are getting a lot of media attention these days. You may have even seen some of their commercials popping up on your local television station. Others to watch include Temple Coffee Roasters, Klatch Coffee, Intelligentsia Coffee & Tea and the UK’s answer to Starbucks – Costa Coffee. Costa Coffee is the UK’s largest coffeehouse chain and a premium roaster. They are just now making inroads into the American market. The competition is heating up as coffee is taking hold among a younger and more particular audience. At Galaxie Coffee, we will continue striving to meet the needs of all of our customers regardless of their tastes and preferences. We are proud to offer the New York area a wide selection of hot and cold beverages for office consumption. The coffee and tea industries owe their longevity, in part, to constant innovation that has been going on for hundreds of years. Innovation means the coffee and tea products of today are similar to those of old in some ways, but drastically different in others. This year should be a very good year to see even more innovations that promise to make the hot beverage experience even more enjoyable. To prepare you for what is coming this year, we have spent considerable time investigating some of the more promising innovations coming down the pike. Some of these innovations may become mainstream; others may fall by the wayside. Either way, 2015 should be an interesting and exciting year for coffee and tea. Black, green, and white teas are the most commonly cultivated around the world. Moreover, while the market for these teas remains strong, growers are beginning to experiment with a purple tea. This new tea product is called purple tea because of an increased amount of anthocyanin that gives the leaves a reddish-purple hue. Growers love it because the higher levels of anthocyanin are believed to make purple tea more robust and resistant to adverse weather conditions. We are not likely to see it sold as an individual product; rather, purple tea will be ground and mixed with other tea varieties. 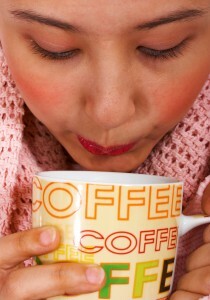 New research suggests that coffee served in white mugs or cups is perceived to be more bitter than that served in clear or darker colored containers. In an effort to reduce the amount of sugar people use in their coffee, we expect manufacturers to begin developing new cups and mugs that change those individual perceptions of our morning Joe. We suspect someone is already working on a disposable cup that is both clear and insulating at the same time. Soil conditions play a vital role in how vintners produce certain kinds of wine grapes. Science is quickly discovering that the same thing holds true for coffee. In some countries, such as Nicaragua for example, scientists are working on ways to create optimal, engineered soil types for certain varieties of coffee beans. We should start seeing the fruits of their labors later this year through higher quality coffees. One of the hottest areas for innovation in the coffee and tea industries is that of the creamers and flavorings we add to our hot beverages. On the way this year are new non-dairy alternatives that are based on natural ingredients rather than their manufactured counterparts. There are rumors of new non-dairy creamers based on almonds, coconut, cashew, soy, and rice. Galaxie Coffee is looking forward to what 2015 brings. We hope you are too. You can count on us to continue providing the finest beverage and break room service in the greater New York area. Call us for more information about coffee, tea, bottled water and all the other products and equipment we carry.